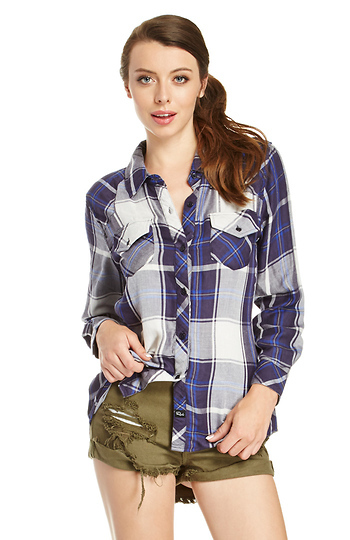 Our Kendra Plaid Shirt by Rails makes lounging look cool. The plaid button-up two flap chest pockets, long sleeves with a buttoned cuff, and full lining. Stylist Tip: Wear with a maxi skirt for a casual look.